In many homes, in order to obtain water a well pump is used as the sole source of water. And while many wells can operate trouble-free for a long time, when a problem occurs and disrupts your water supply, that can result in an incredibly inconvenient – and potentially even hazardous – situation. Regular maintenance can help determine problems before they become serious and lead to very expensive breakdowns. System reliability, water quality and water pressure can all suffer as a pump ages, so routine maintenance is a must. At Jones Services, we have provided well pump and tank services in Hudson Valley for more than 30 years, so we have the expertise you need to make sure your system is running as reliably as possible. A tank acts as a reservoir, storing water that is drawn out. As long as a tank’s water level remains at a certain level, that will allow the well pump to rest. When that level falls to a predetermined level, the pump automatically engages to refill the tank. Again, your pump, tank and system controls must be checked on a regular basis to make sure your system is operating as efficiently as possible. As this type of system ages, the pump can lose pressure or simply stop operating completely, and tanks can leak. A Jones Services professional can come to your home and make sure that all of your system’s components are operating as they should. If a repair is needed, we are experts in every type of well system in existence. It is imperative that your well pump and tank replacement is done correctly the first time if repairs cannot be performed. 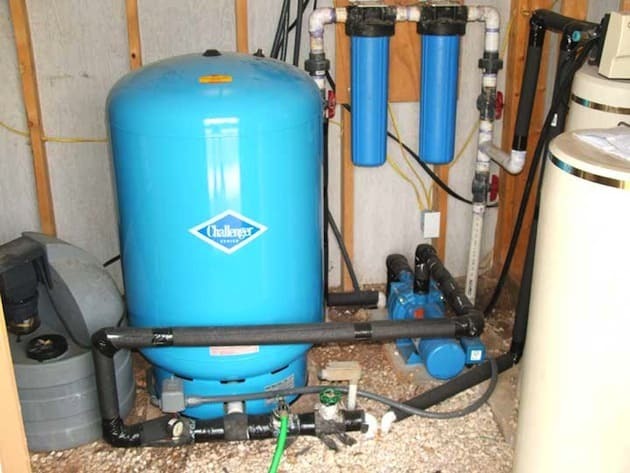 A well pump system is designed to last between 12 and 20 years, but that lifespan will be shortened if an installation is performed improperly. Jones Services professionals are experts in well pump and tank replacement so you will wind up saving money in the long term because your system will reach – and possibly even exceed – its lifespan. Whether you have a shallow well, deep well, centrifugal, submersible or jet pump, or a well water tank, Jones Services can take care of all your repair, replacement or installation needs.